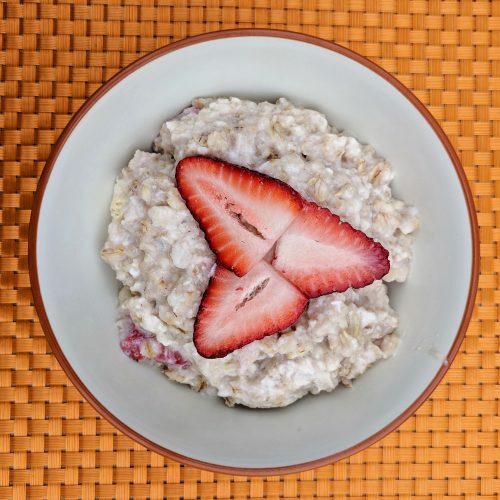 This protein packed oatmeal is perfect for pre or post workout. It is low fat, high protein and has the carbs you need to either fuel or recover. With only 270 calories, this baby is packed with 27g of protein, 3g of fat and 30g of carbs. The combo of protein and carbs jump starts your morning engine and helps you to feel fuller longer. 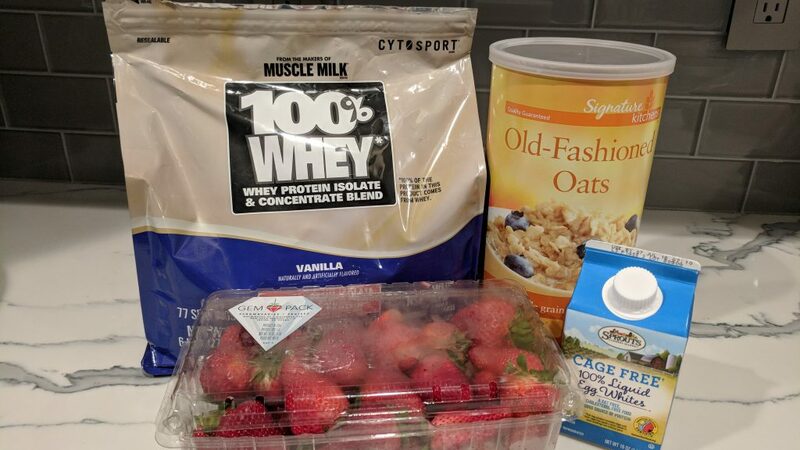 Protein is crucial in the building of muscle and its recovery, so by adding protein powder and egg whites to whole oats you are creating the ultimate power couple! 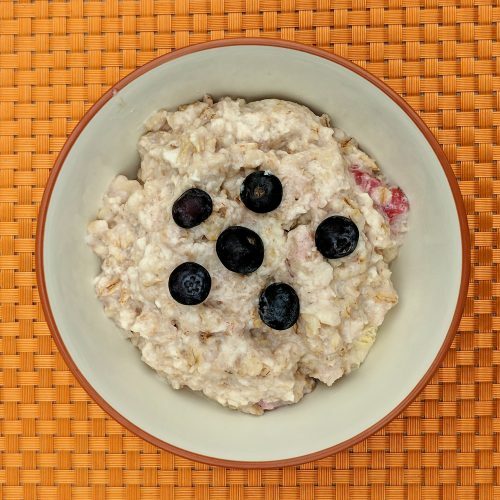 Oats are naturally gluten-free, however beware of contamination. 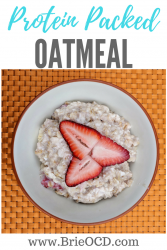 Many oat manufacturers also produce other items containing wheat so there is a chance of cross-contamination. To be safe, buy a brand you trust or one that is specifically labeled as gluten-free. 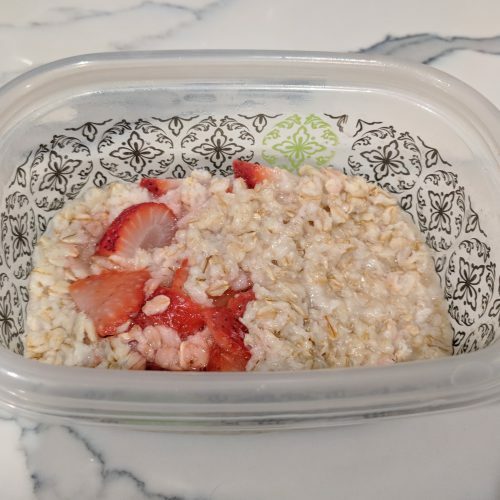 I got a version of this recipe from the superstar powerlifter Brenna Bulach! The first time she told me about it, I was like really? 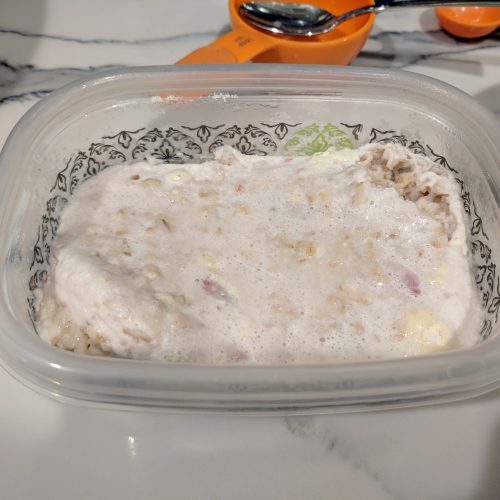 eggs in oatmeal? but then I tried it and was pleasantly surprised! The only real difference was the eggs gave it a better texture and an extra boost of protein! She suggested I eat this before heavy deadlift days. I am not sure if the oatmeal gets the credit but I pulled a 300# deadlift! Let’s go!!! 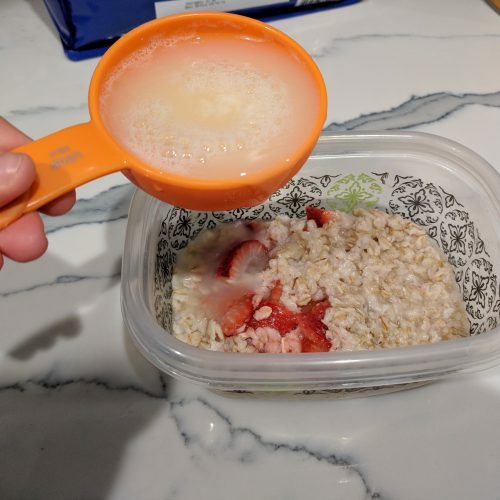 I don’t want to keep hammering you on the importance of breakfast (click here to read that article!) however I know that people skip it all the time. It is crucial to get your body awake and alive and burning calories first thing in the morning. So get up, get moving and eating that healthy breakfast! It sets the tone for the rest of your day! Trust me, you will be more focused, productive and your co-workers will love you more when you’re not hangry!! 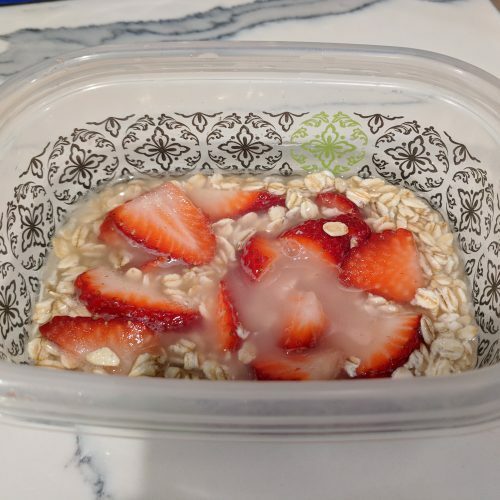 add oats, water and berries to a microwavable bowl. stir. add egg whites and protein powder to mixture and stir. microwave for another 45 seconds. Stir. If you want, top with additional berries and Enjoy!